A woman who battled with mental health issues took her own life following a series of personal setbacks, an inquest heard. Coren Welch, 31, was found hanged at an outbuilding near her parents’ home in Lodge Lane, Elswick, in February this year. 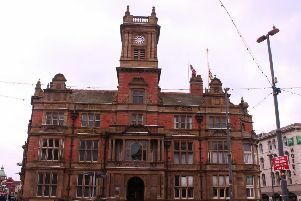 Blackpool coroner’s court was told the former estate agent took her life after being made redundant, breaking up with her boyfriend and money struggles. Miss Welch, who also suffered with an eating disorder and struggled with alcohol issues, was being treated by staff at Lancashire Care NHS Foundation Trust (LCFT) and was working with the Blackpool Home Crisis Team. On February 4 she met with Anthony Wood, a senior nurse, at her parents’ home in Elswick. Despite Miss Welch admitting her mood was “one out of 10,” Mr Wood felt she was not at risk of harm. He added: “She said she was making plans for the future and had not drank for two and a half weeks. She said she was going to get support with her eating disorder. But later Miss Welch contacted the crisis team ringing for help. A home visit was arranged for the next day with it felt she would be safe with her family. The following day her parents found a note in her bedroom – with her body found in an outbuilding by police. Following a review into Miss Welch’s death, it was discovered she had tried to hang herself four times – but staff were only aware of one occasion. A representative from LCFT said if staff had known the management of her risk would have been very different – adding new guidelines had been put in place to avoid a repeat of such a case.